My dad is probably the main person responsible for my interest in history. During the sixties when I was about ten he purchased three games put out by Milton Bradley that were called the American Heritage Series. 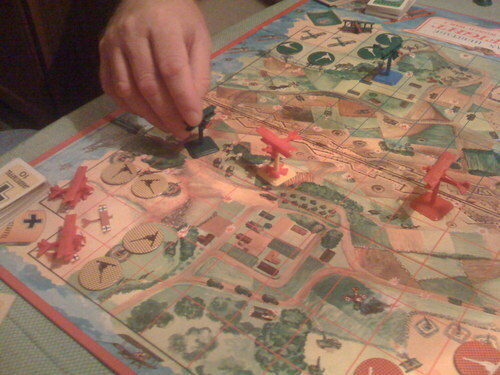 One of the games dealt with the American Civil War and was titled Battle Cry. Another dealt with the War of 1812 and was titled Broadside. Battle Cry dealt with the Civil War as a whole while Broadside dealt with the naval aspects of the War of 1812. 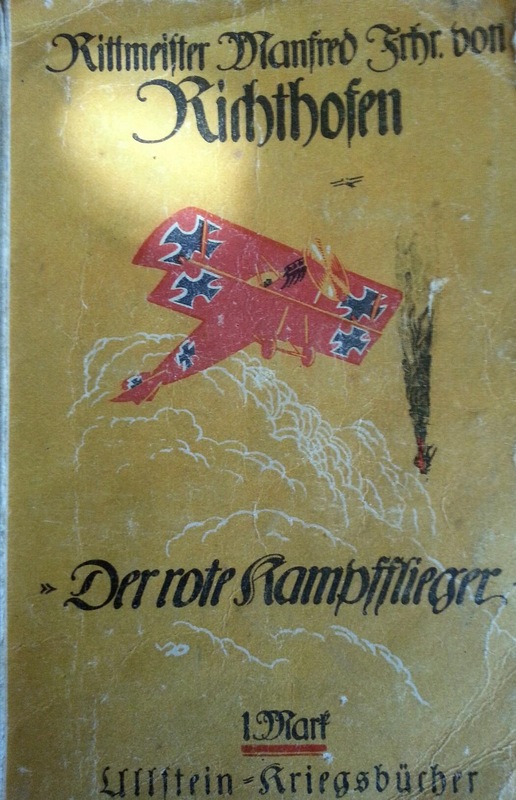 The Red Baron, every school boy’s hero back in the 60’s! The third game was called Dogfight and while I enjoyed all three games it was Dogfight that intrigued me (and my father) the most. My dad had grown up building balsa models of WW1 airplanes. He was familiar with the Spad, the Nieuport 17, the Sopwith Camel (perhaps the plane with the oddest name) and of course the Red Baron’s Fokker Triplane. Dad would speak about the planes when he played the game with me. Milton Bradley’s Dogfight. I have an original copy given to me by a neighbor. Each game came with an American Heritage booklet about the war covered. In the case of Dogfight the booklet centered on aces, that is pilots who had earned many aerial victories over their opponents. I devoured those little books and believe they created in me a desire for history learning that continues to this very day. Dogfight, like Battle Cry and Broadside used plastic miniatures. In dogfight you got 6 Fokker D7’s and 6 Spad XIII’s. In any event I never lost my interest in WW1 airplanes. When I bought our first Apple computer in the late eighties I purchased a WW1 flying game. By the early nineties though I had switched to PC and I had abandoned the genre of WW1 flying games. That all changed recently when Sid Meier and 2k Games recently came out with Ace Patrol for iPad. I took a chance and found it to be an ideal WW1 flying game. The game features missions according to various WW1 campaigns. One can choose to fly as the British, French, Americans or Germans. You are given four pilots for your squadron and as you gain victories and experience you also gain maneuvers and airplane upgrades. A mission does not take more than 15 minutes making it perfect for a little time of relaxation. The game interface is intuitive with a very short learning curve which I appreciate. For a tablet game the graphics are just fine and you can modify your plane’s color scheme to some extent to make it distinctive. Like most good games for tablets you can “buy” extra features. In Ace Patrol you can purchase an “Ace” that is based on a historical person. The cost is reasonable. I have thus far resisted buying an “Ace” preferring to try to earn one the hard way! 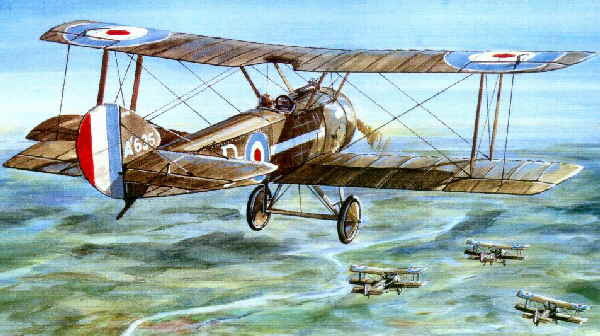 At present, I’m playing as the British and am “flying” a Sopwith Pup via an alter ego. Each plane has its own attributes just as each pilot has their own skills and bag of tricks. I’m sure there are more detailed WW1 flying games around but Ace Patrol is no simplistic beer and pretzels game when it comes to detail. It may play quickly but that does not mean poorly. Highly recommended for those interested in WW1 airplanes and have an iPad.